Even with the advent of Summer, 52 Quilts "12 in 2014" challengers are continuing to complete UFOs at a record pace! A long-time challenger, Debra B, sent in this lovely finish for June. Here's a close up, Debra, your piecing is so precise, I love it! 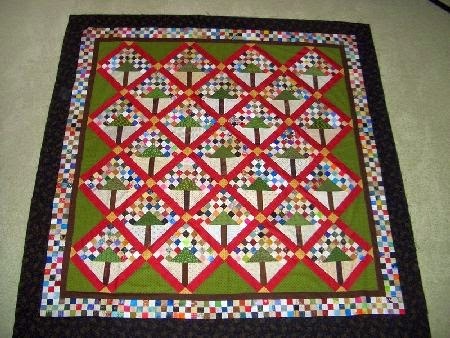 My UFO #10 is called Secret Window and it was a Quiltmaker 3-part mystery that started back in May/June 2011. I have had this fabric pulled and in all 3-parts of the Quiltmaker magazines. It was sitting by my sewing room window and, you know what happens to fabric when it sits by a window, that was my cue to add this quilt to this years challenge. 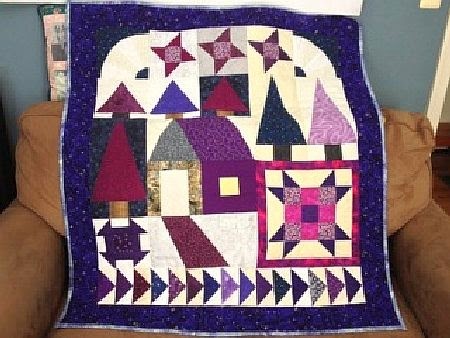 The quilt was designed by Debbie Caffrey and Sandi Delman was the "go to" hostess for the online Quilt-Along. Thank you so much for all you do and I am looking forward to next month's challenge. 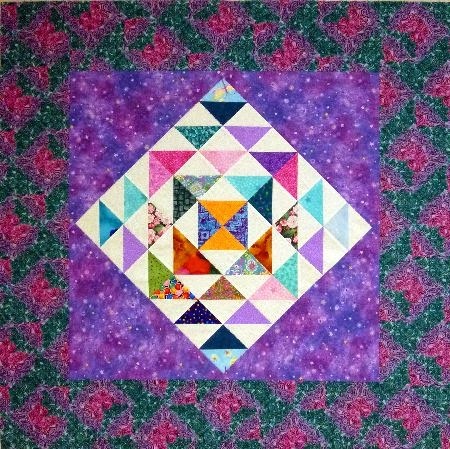 Mary finished this quilt top for a donation quilt and says, "Obviously it isn't quilted, but I am considering it not just a finish but a victory because those darn HSTs have been sitting around for 2 years since I got them in a swap." Mary, it's so pretty! Someone will love receiving this quilt. Check out Mary's blog here. It is a Quilt of Valor. It measures 90" x 90". I am going to dedicate it to my dad, 2nd Lt Ralph Peters who served in WW11 in the Army Air Corp as a bomber pilot out of Adak, Alaska flying bombing missions over the northern Pacific ocean. I will put all that on a label and then send it of to the QOV org to give to a deserving vet. Katie's little sister, Peggy, was one of my closest friends through high school. And I never knew her daddy was a pilot! How I wish I had known him when I was in the Air Force, the stories he could have told! Irene is making up for lost time by submitting two finishes for June. The first one is part of a series of the four seasons, Winter. She says Summer and Fall are completed, and Spring is in the UFO collection! I love her second finish. Irene, I should have asked you to include the source! Irene says the book is out of print, but she found a copy on Amazon. Heather's June finish is close to my heart. Yes, I hate making Flying Geese. But isn't this just the prettiest quilt? Heather gives the details about "Lockridge Mill," the third project in Prairie Women's Sewing Circle - Journey 3, on her blog, here. Sue also has two finishes this month, after a hiatus for "doggy distractions!" Even in the photo, you can see the shimmer of the organza! 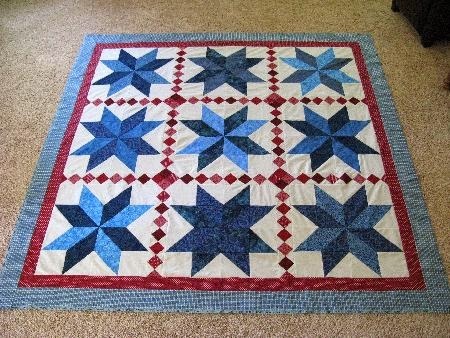 Sue's second finish is one that's on my "Quilter's Bucket List," the "Star Surround" quilt. Gorgeous, Sue! Be sure to visit Sue's blog, here, for details on the trapunto -- and scroll back to June to see photos of her new puppy! 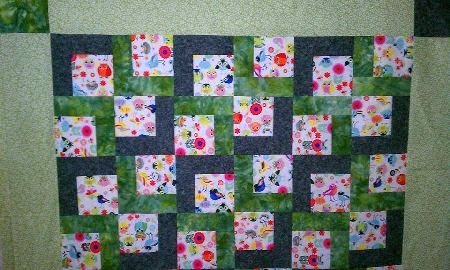 Kerry has a "big" finish -- one of Bonnie Hunter's scrappy quilts. If you've ever sewn one of Bonnie's patterns, you know they have lots of pieces! "Crabapple" is from Bonnie's book, "Adventures with Leaders and Enders." Kerry reports this quilt started as a swap with some quilty friends -- full details on her blog, here. Elisa made this sweet baby quilt with a rainbow batik jelly roll. 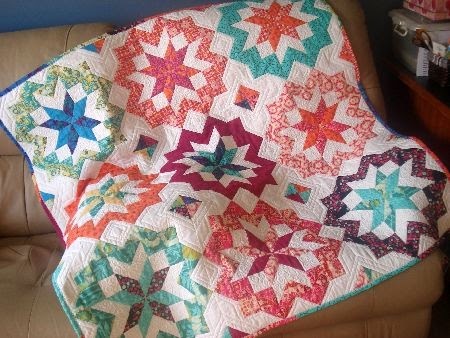 Her original idea was to make a "learn your colors" quilt for her granddaughters. When the project was relegated to the UFO pile, it re-surfaced as a gift for a friend's first grandchild. I'm thinking the model is one of Elisa's granddaughter? Details on Elisa's blog, here. It's always fun to see what "K" kwilt name Sandi comes up with. This one is Kolumbia, named for the first US space shuttle, Columbia. It was fun sewing red, white, and blue (although I used ivory) fabrics this flag month. Well, quite frankly I always enjoy a patriotic project. The fabrics all came from my stash; a wonderful thing. The challenge was finding a suitable setting triangle fabric, that gold. I really had to dig deep to locate a piece that would be the right color AND enough yardage. I'll have to admit that it is getting difficult to come up with "K" names for patriotic projects. I have made quite a few. This one comes from one of the NASA space shuttles. "On April 12, 1981, a bright white Columbia roared into a deep blue sky as the nation's first reusable Space Shuttle. Named after the first American ocean vessel to circle the globe and the command module for the Apollo 11 Moon landing, Columbia continued this heritage of intrepid exploration. " 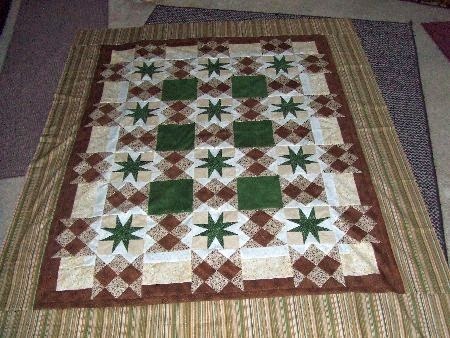 The design is by Wendy Gilbert of Morning Star Designs (wlgquilt@aol.com) called Scrappy Star Quilt. I made the miniature wall hanging. If you'd like to see more of Sandi's "kwilts," visit her blog, here. 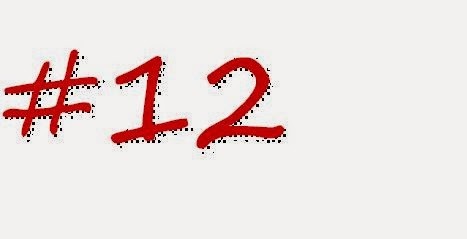 Twelve finishes, even in the midst of Summer! How about a Parade giveaway? And that would be Elisa. I'm sending you an email, Elisa, asking for your postal address. 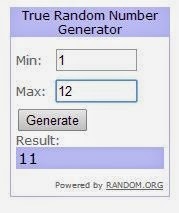 A last minute entry! Becky's email arrived after I had gone to bed last night, but before I had the post set to "publish." It's worth the last-minute add, though! When my sister was in high school she loved all things space so I made her some spaceship pajamas. There were some good sized scraps leftover and I figured someday they would make a good focus fabric for a quilt. 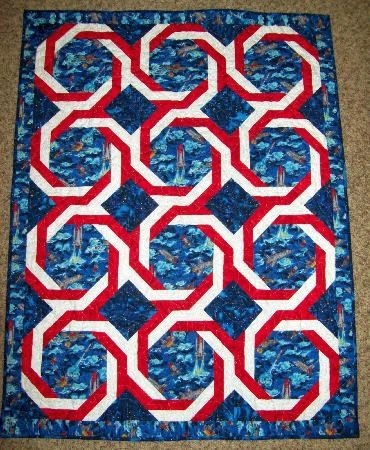 Last fall I saw a quilt pattern that I thought would be perfect for the spaceship fabric. So now 15 years later, those scraps finally made it into a quilt for our nephew who is due to arrive in August. 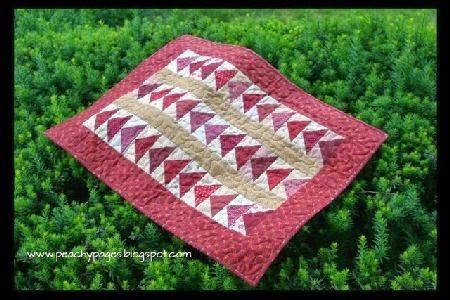 Tomorrow is WIP Wednesday -- and my WIP is the Summer "A Quilt Block a Day" block. Come back to see how I'm doing! Its good weather for quilting here in Australia at the moment as winter has finally got its act together and we've had chilly mornings and some rain. Lots of finishes again this month but Kerry must win the award for the quilt with the most pieces, amazing! Well done everyone! I tried to leave a comment for Sue on her blog :( but after two attempts the blog just wouldn't accept them. Nice to see Debra's project done. 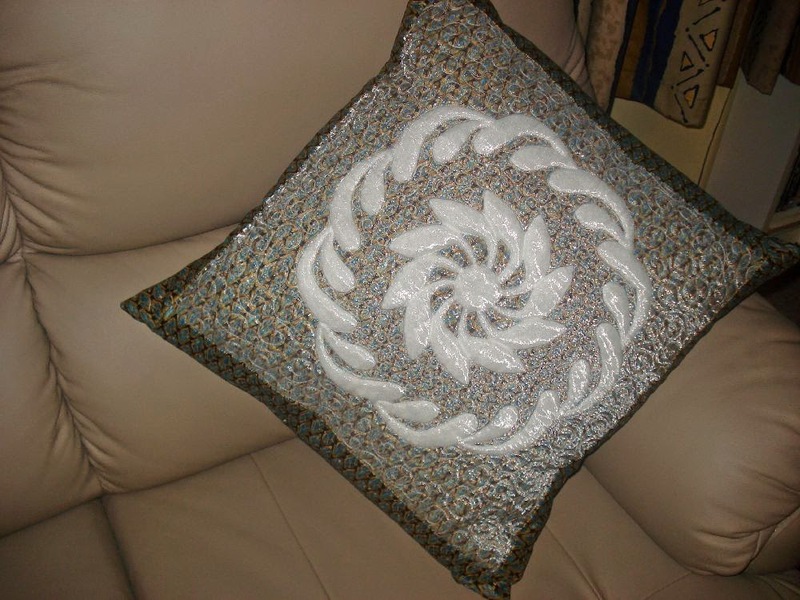 It was quite the experience for me being the Online Host for Quiltmaker with this project a couple of years back. Betsy, Irene & Katie have wonderful finishes for June too! Everyone ready to sew JULY UFO? I love so many of the finishes this month, I can't decide. However, I also cannot afford to pick any new projects! 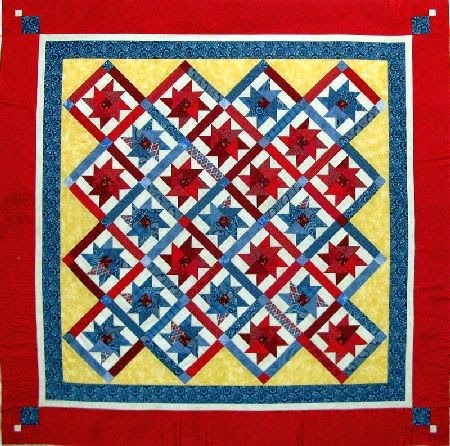 The pattern I used for the "clothesline" is in Celebrating the Quilt: Twenty Quilts for Twenty Years, by Sally Schneider. It is out of print, but many copies are available through Amazon and perhaps through other used book dealers. The three small quilts will be penned on the clothesline and can be changed occasionally, if desired. Thanks for the post. I love seeing what other people finish each month! 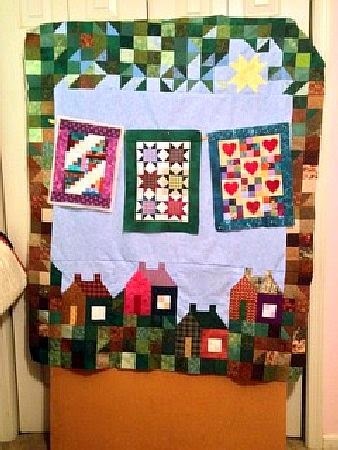 Great effort by everyone - love the story behind Becky's quilt (see you do need to keep fabrics for a loooong time) and really love Mary's quilt...must be the colours?? 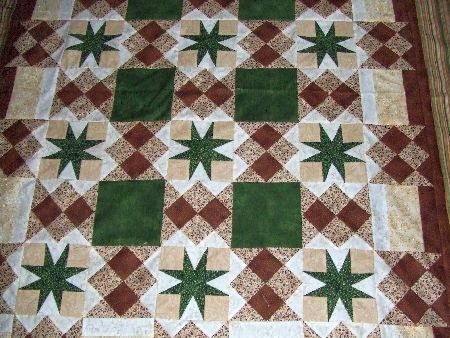 is there a pattern available for Becky's quilt? It turned out well and is pleasing to the eye.